As many of you most certainly know, either from personal experience, or from hearing the "war" stories of others.......owning a "home" that moves down the road will, from time to time, mean stuff will break, or stop working. When things go wrong in a motorhome it is the result, often, of the flexing, heating-cooling, and/or vibrating of your moving home. This past Saturday morning I unplugged our coach from shore power, ensconsed myself in the captain's chair, and turned the key "sending" electrical power to the starter fully expecting to hear what I always hear as the 6V92 Detroit Diesel rumbles, once again, to life. What I was treated to were the "sounds of silence".....not even a click....nothing. At first I thought the transmission was not in neutral (there is no "PARK" option). If the coach is not in neutral nothing will happen when you turn the key. I tried several times to reposition the gear shift in neutral with the same silent result....still no response. I sat there staring dumbly at all the gauges looking for signs of life. I slowly turned the battery condition switch from one battery to the next and see that all batteries are at 100% charge. I then flip the battery merge switch to merge all four batteries, and get the same disconcerting silence. I try the back up monitor....won't come on...then I start turning on light switches (all the lights are of the 12 volt variety) and still am not "seeing the light". I walk to the kitchen.....nothing comes on. I pass on to the bedroom and get the same result. There is literally no 12 volt power reaching any 12 volt fixture anywhere in the coach.....WOW! Now I have moved from the "seeking adventure on the road" to "death of a vision" to starting to trouble shoot the electrical problem. I decide to plug back in the shore power, because I remember when I first entered the coach this morning before unplugging all the 12 volt was working.....as I mate the male and female ends of the shore power cord I hear the "click" I always hear and all the 12 volt power returns to the coach, and, in fact, I turn the ignition key and the diesel rumbles to life....OK, that's progress. I then unplug the shore power again, and it still runs, however, all 12 volt power vanishes into the ether again, and I find that flipping the kill switch does not turn off the diesel. I reconnect the power and am able to turn off the diesel.....OK, we're not going anywhere in our moving home today. 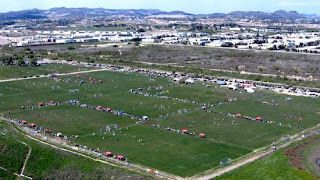 Our plan had been to head down to Temecula for a 2 day soccer tournament and spend the night. Since I had a start time of 9:15am I had to forego anymore trouble shooting and just go do my games, and worry about this issue when I get back in the afternoon. I arrive back home around 2:30pm, park the car, and put up a post on the NewellClassic.com website outlining my problem. While waiting for a reply I start checking all the batteries with my multi meter to confirm the readings of the meter inside. I check for voltage pole to pole (positive to negative) and get 12.20 to 12.35 volts on all four batteries....pretty close to a full charge. I then check positive to ground and get the same readings....so, all 4 batteries are charged, and all four grounds are fine. I check for voltage on the front electrical panel and get nothing, EXCEPT for the radio...it has power, and it turns on...the only 12 volt item in the coach that comes on without shorepower....weird! I get a reply on the website from one of my buddies, Richard, and he says to call him, which I do. I the relate all the symptoms to him, and then he goes through a list of things he wants me to check out, which I do, but we still have no idea what is happening. He suggests I call one of the other owners who is a brilliant electrical engineer, and has successfully solved many of his Newell electrical issues. Soooo, I call Tom in Arizona and find he is on his way home from a weekend adventure in their 1990 Newell...as he is driving he outlines several issues he wants me to check out before we talk the next time. I make notes and plan to do the additional trouble shooting the next afternoon when I again return from Temecula. The problem is, I am coming down with a cold this past weekend, and when I arrive home on Sunday around 3pm I am out of engery, and it is getting cold. I just decide to take a shower, and lay down for a while....."tomorrow is another day" as Scarlet would say. Monday morning dawns sunny, and warmer....I have a cup of "joe" and then head out to the coach. I get Tom on the phone and I report back to him the results of the things he wanted me to check.....gradually we move back to the electrical bay located just in front of the engine compartment at the left rear of the coach....since the converter/charger is obviously putting out 12 volt when plugged in, then the issue must be between there and the rear electrical junction panel......I am in the process of tracing the "red" wire from the conveter to the rear junction when my neighbor, Russell, walks up...."what's wrong?" he says....that's what he always says when he sees me staring dumbly at my coach, or car. I briefly relate to him the symptoms....he asks to look in the electrical bay, wiggles a few wires there, then asks to see the rear junction panel...as we are talking he starts wiggling the various large wires (yes, the shore power is unplugged, but thank you for being concerned...). He wiggles a large diameter black ground wire and I hear the "click" I used to hear...then he wiggles the other one, and the same thing.....it is obvious that both connections are loose....one more than the other.....hmmmmm....why didn't I "see" that? I unscrew both bolts, clean off all the connections, and then reconnect them...I turn on all the battery switches, and what do you freakin' know....I have 12 volt restored throughout the coach!! I call Tom, and tell him what we discovered, and he congratulates me on finding the problem. I then thank Russell for his fresh set of eyes, and that he always assumes the problem is simple, first. I tend to think the problem is large, and complicated, first. A lesson learned once again.....more often than not electrical problems occur due to the vibration, flexing, heating and cooling....ground wires come loose, or get corroded. A special thanks to Richard and Tom for "sharing" my pain, and working with me....Tom we were on the right path....we just hadn't gotten all the way to the rear junction panel......Russell, you're a life saver...thanks for being a good neighbor! The rear electrical panel ground connections...all cleaned up and reconnected! Decided to do a walking video tour of the park for those who may be interested. This is really a great regional park, and the layout and amenities show a lot of thought. Below if a view looking north from site 201 toward Mt. Baldy....still a lot of snow. Just below you can see the little kiddie water park in the right center of the picture. Later, around Noon, we took a ride into the City of Riverside to their old town area. They have a nice promenade area which they have closed off to pedestrian traffic only. There are also a lot of churches on Mission Inn Blvd., as well as the historic Mission Inn. Here are a few pictures we took of the area. We didn't get a chance to take the hike up to the top of Mt. Rubidoux....Elaine had a head cold this weekend and just wasn't up to it....I'm glad she joined me for the bike ride! Above is the ornate entrace to the hiking trail that takes one to the top of Mt. Rubidoux....next time! End of another great day!! We had a great weekend.....I read a book, and took care of a lot of little maintenance issues. BBQ'd chicken one night and salmon last night. We will return to this park. Less than 15 minutes from home, but it felt like we left the State! 4:00pm - We're on vacation! Arrived at Rancho Jurupa Regional Park around 12:30pm today......my Dad used to say "if we can get there at 2pm, why not 1pm? ".....I say why not 12:30pm? The check in time on the website is officially stated as 2pm, but you can always call and ask if you can arrive earlier, which I did, and was given the green light. By the time Elaine arrived I had camp all set up.....yep, I even remembered to light the water heater.......no we don't have an automatic water heater....our coach is very low tech....nothing really automatic at all. I hand cranked up the Winegard satellite dish.....remember.....l-o-w t-e-c-h!! Took me all of 5 minutes to gather in the DirecTv satellite signal, and am watching Fox Business as I compose this blog entry (America's Nightly Scoreboard). Our site is 201....nice power pedestal, which includes cable TV! Thick, lucious, green grass surrounds each site, and has been recently cut, and trimmed. Included in each site is a brand new fire ring, which we plan to use this evening. We have the sense of being miles from anywhere, and it is very quiet....not bad for only driving 15 miles from home! We'll do a walking tour tomorrow complete with pictures of all the amenities. Life is good! Thank you for continuing to follow our adventures! 4:45pm - THE AIR DOUBLER! The Newell has an onboard air compressor that provides air for our air suspension, and air brakes. In the engine compartment there is a quick connect air chuck that I can plug into with an air hose to air up my tires. The problem I have had is that the system only provides 120 psi, and my tires need up to 110 psi...120 psi is not enough air pressure to get the psi in the tires past 100 psi. My friend, Tom McCloud, a fellow Newell owner, obtained an "air doubler". He paid around $300 to get one of these from the Newell Corporation, which is not a bad price. I was able to get the same one on Ebay for $200 including shipping. Plugged into the quick connect.....the PSI reading is almost 200psi! Last weekend was a bust.....the soccer matches for both Saturday and Sunday were called on account of rain, and standing water on the fields. After driving home Saturday morning I spent the day cleaning up the hard drive on my home office PC, and adding an external hard drive to store pictures and music on....they both take up a lot of space. In my case they used up close to 13 gigabytes. The external hard drive is a Western Digital 55 gig, and it works quite well! Additionally, the CD burner on the PC had gone kaput a few months ago....I hadn't really worried about that as I have a good burner on my Dell Inspiron 6000 Laptop, but since I had a rainy day with nothing else to do I decided to get that taken care of, too. Of course, the Hockwald way is to take 3 times as long to do anything as it should normally take.....the first burner I bought at Best Buy had the wrong connections for my older Dell PC, so a return trip to Best Buy was made, and the correct burner for my PC was acquired. I was able to hook it up, but couldn't get the computer to recognize it. Once I finally figured out I needed to change the new CD burner settings from a master to a slave (there is a read/write CD drive on the computer which is already registered as the master) the installation went well, and now I can burn music CD's, and DVD's again at home! This coming weekend, February 12th to 15th, we are heading out again, but to Rancho Jurupa Regional Park this time (we reviewed this park back in December over the Christmas holiday weekend). The forecast is for sunny days all 4 days....yeah!! I will post more this coming weekend on our experience at this Riverside County Regional Park! I rained all afternoon Friday, and I delayed my departure for several hours that evening expecting a call, or an e-mail advising the soccer matches in Temecula were cancelled, or were being played as scheduled. Unfortunately no one was willing to make a decision last night, so eventually I departed Ontario around 9pm and pointed the Newell south on I-15 to Temecula. I arrived a little after 10pm, and decided to park outside the soccer complex on the street, which is in an industrial area. I still wasn't sure they were going to play this morning, so I saw no point in driving into the complex on the muddy dirt road and then having to leave this morning. I awoke around 6am to steady rain.....it had rained pretty much continuously all night. I checked my Blackberry for the expected e-mail advising the matches had been cancelled, but NO e-mail.....hmmm. Finally around 6:45am I called one of the referee administrators to see what he knew.....what he knew was that the matches had been cancelled, but they had not been able to contact the referee assignor to send out the e-mail. Sooooooo.....I turned over the Detroit Diesel and headed home....no point in sitting around Temecula all day waiting to hear the same message again for tomorrow's matches. The weather forecast shows continuous rain all day, and most of tonight, so I would not think the fields will be playable tomorrow...BUT, we'll see. As I have mentioned previously, in addition to my "normal" job as an insurance broker, I am also a professional soccer referee. No, that doesn't mean you'll see me officiating a FIFA World Cup match anytime soon, but it does mean on any given weekend in Southern California you can find me at either an adult indoor soccer match, or at a youth outdoor soccer match. For a number of years I have observed numerous parents staying overnight at tournament sites in their RV's...saves a long round trip drive each day of the tournament. This year I decided I would do the same. Typically I drive around 30 miles to local soccer venues, do 3, or 4 matches, and then drive home, only to repeat the routine the next day. If I stay on site I can save a minimum of 60 miles, and 1 hour of driving each weekend, plus get out in the Newell more often. This coming weekend (February 6 & 7) we will head, once again, down to Temecula, CA....about 48 miles one way. By staying on site overnight I will save almost 100 miles of driving and 12 gallons of fuel ($36), plus almost 2 hours of driving time, plus I will get to spend time with my wonderful wife, Elaine. In addition to that, since I am a referee, I do not have to pay any parking fees at the soccer complex. In addition to the free parking I will earn around $200 this weekend doing something I love. The soccer complex is only a few minutes from Temecula Old Town, and the Temecula Wine Country. The RV parking area is just out of the above picture to the left. More pictures to follow this weekend. In a couple of weekends we will be heading out to Lancaster for State Cup finals for the younger kids (ages 9-13). Next weekend, Presidents Day weekend we will be staying at Rancho Jurupa Regional Park, which we explored a few weeks ago, and wrote about. Thank you for following our adventures!